Recitals for violin, voice or cello often pay lip service to the idea that the pianist is an equal partner in the enterprise. But few put this principle into practice as convincingly as the cellist Amit Peled and pianist Alon Goldstein in their concert Sunday at the University of Miami’s Gusman Hall. The two musicians, both Israeli immigrants to the United States, are friends, and both have strong connections to Baltimore’s Peabody Conservatory, where Goldstein studied with Leon Fleisher and Peled is professor of cello. 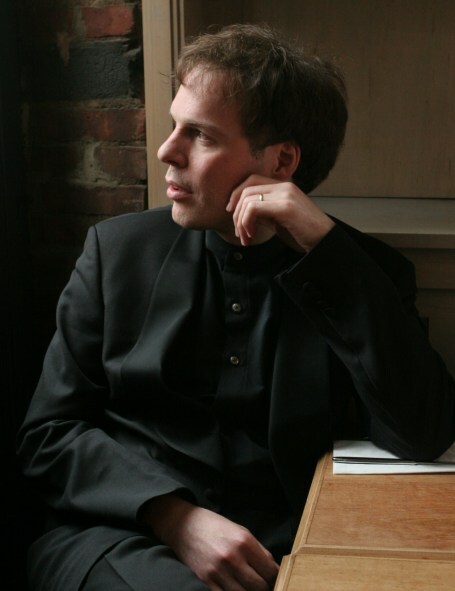 During the recital, presented by the Sunday Afternoons of Music series, Goldstein took the stage on his own to perform a substantial work for solo piano. And he played assertively through the rest of the concert, particularly in a Beethoven sonata, in which the musical requirement for a pianist of equal status isn’t always carried out at recitals in which the string player is the star. Judging from the first half of the recital, the cellist’s musical center of gravity is considerable farther east than that of the typical classical musician. While there was nothing wrong with his performance of Schumann’s Fantasy Pieces for Cello and Piano, it was in two East European-flavored that he really seemed to open up and play at his best. He brought an emotionally committed, improvisatory style to Ernest Bloch’s From Jewish Life for cello and piano, making the cello sob as he slid from note to note with a throbbing tone, making it whisper and in the boisterous middle section bringing a hint of peasant roughness to his tone. Five Pieces on Folk Themes by the Georgian composer Sulkhan Tsintsadze brought more tones of Eastern European folk music. The fast dance-like finale was a tour-de-force of the cello’s capabilities, with Peled bouncing the bow rapidly across the strings as he plucked the strings simultaneously with his left hand. Technically, there were some glitches. 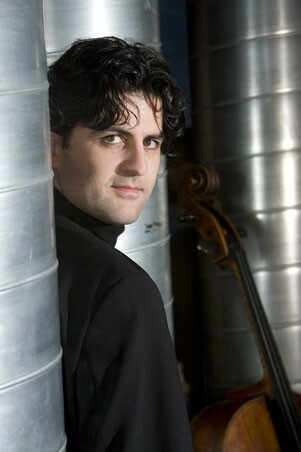 Peled’s intonation was below the standard for a concert cellist, particularly in the first half where he repeatedly failed to hit the note squarely. Goldstein fluffed over a couple of the fast passages in the first movement of the Beethoven sonata. But both performers clearly have formidable technical equipment, and these problems shrank before the musical and emotional authority of their playing. Goldstein took the stage alone for Gyorgy Ligeti’s Musica Ricercata, a long work that draws on past musical styles, subjecting them to odd, contemporary harmonies and obsessive repetition. Goldstein drew out all the contrasts of these weird clashes of styles, his playing turning ghostly in an eerie little waltz and creating a subtle build up of power from a long section in which the left hand plays a sinister repeated figure and the right a more playful melody. These two strong-willed musicians proved a good team for Beethoven’s Sonata No. 3 for cello and piano. Despite Peled’s affinity for the heart-on-sleeve works of the first half, he proved a fine interpreter of Beethoven, neither emoting too much nor turning in an excessively pristine and classical account. He brought a noble, lofty tone to the work, reining in the vibrato he had lavished on the earlier pieces. Particularly strong was the hard-driving Scherzo, given a vigorous, strongly articulated performance, with Peled never allowing excessive bow noise to mar the sound, as would many string players. Goldstein brought a rhythmically precise and well-marked style to his playing, providing effective contrast and support to the cello. As an encore, Peled brought a melting warmth to his tone as he and Goldstein performed the Largo from Chopin’s Sonata for Cello and Piano.